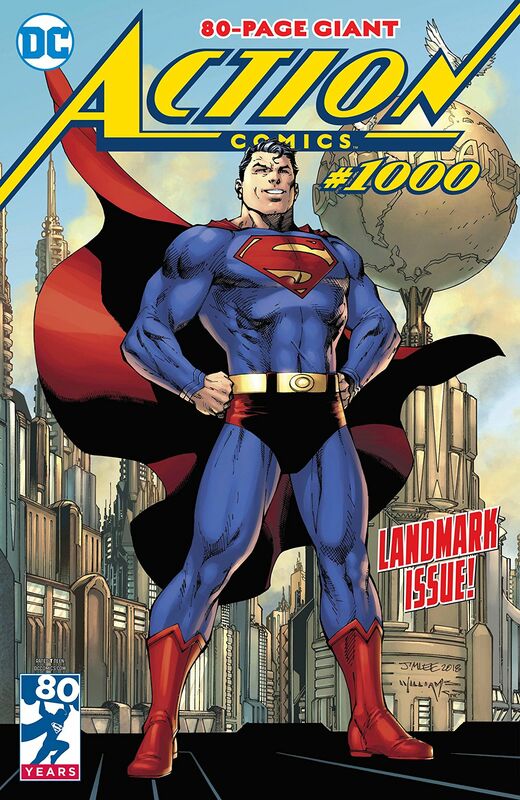 Let us take it as a basic truth that Action Comics #1000 is a book of some significance. 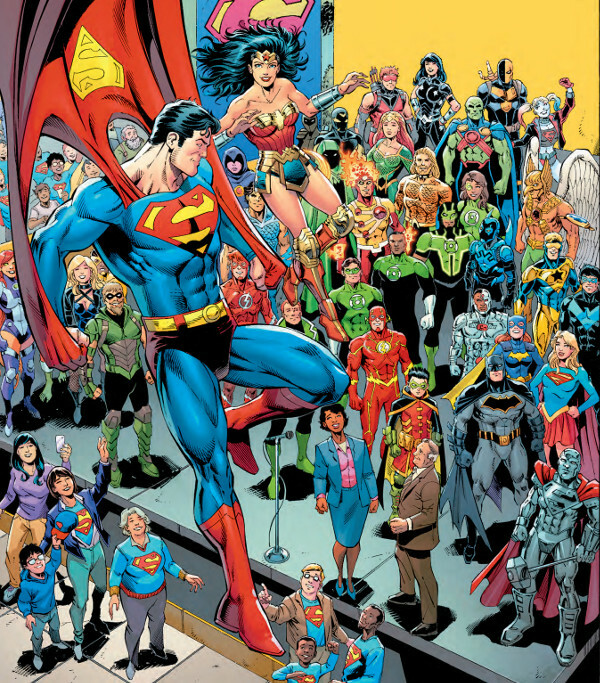 It is the first of DC Comics’ series to hit the 1000 issues milestone, despite a number of divergences where the book was renumbered during those times when it was thought that starting everything over at #1 would lead to increased sales. It contains the first published work for DC Comics by Brian Michael Bendis – recently signed to an exclusive contract – whom you might know as the writer who made Spider-Man fun again and created Jessica Jones. (If you don’t know who Brian Michael Bendis is, click the link. You’re welcome!) It also features multiple collectible covers, for those who enjoy collecting multiple covers. None of this, however, has anything to do with why I’m writing these words that you’re reading. I’m here to tell you if this $7.99 tome is worth picking up if you have no interest in collectibles or historical significance. I’m here to calm the nerves of those rare few souls who actually still read comics, who want to know one simple thing: Is Action Comics #1000 worth reading? The answer, in a word, is yes. It would take most of my word limit to list all of the creators involved in the creation of this volume, never mind describing all of their work. Suffice it to say that if you have ever loved any version of Superman, there is something here that will appeal to you. If you’re a fan of the current Superman series, Dan Jurgens, Patrick Gleason and Peter Tomasi are given a chance to take a bow and pay tribute to The Man of Steel while closing out their own runs. Were you a fan of the 1990s’ Superman animated series? There’s a Paul Dini-penned story with art by Jose Luis Garcia-Lopez you’ll get a kick out of. Are you an old-school Super-fan? There’s a classic Lex Luthor vs. Superman story by Paul Levitz with artwork by Neal Adams that is well-worth checking out, as well as some previously unpublished work by legendary Superman artist Curt Swan. Supposing you’re a Bat-fan who is too cool to read Superman comics? There’s even something for you, with Batman writers Tom King and Scott Snyder having created comics with artists Clay Mann and Rafael Albuquerque that number among the more thoughtful works in this anthology. And I’m just scratching the surface describing these seven stories. There’s even more than that! Action Comics #1000 releases on April 18, 2018!